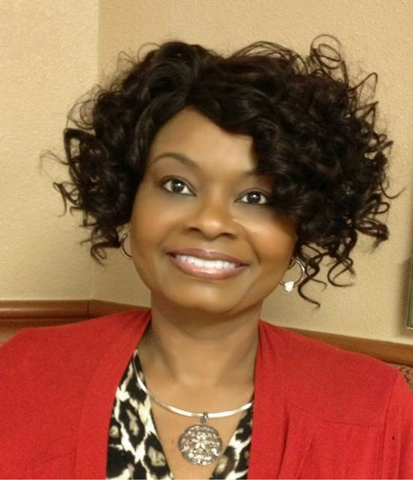 Brentwood, TN (January 10, 2019) — Diversicare Healthcare Services, Inc. named Dr. Felecia Washington, EdD, DNP, MBA, MSN as a recipient of the Team Member Spotlight Award. Dr. Washington, who serves as Director of Clinical Operations in the Texas Region, was selected to be the first winner of this award. Team Member Spotlight Award winners are Diversicare’s peak performers. Team members are recognized for providing Mountain Top service excellence to our patients, residents, families and team members. We also review each candidate’s contributions made to their center, as well as the contributions made to our patients and residents. We go a step further to consider such things as workplace attitude, ability to complete tasks in a timely manner, ability to practice teamwork and contributions to company growth. These team members earn their moment in the spotlight and we are grateful for their service. “Innovator and lifelong learner are what immediately come to mind when I think of Dr. Felecia Washington. She is constantly looking for ways to succeed, thinks outside of the box and is highly solution oriented. Dr. Washington invests in the development and future of her fellow team members. She understands that the success of our company begins with the success of each individual. When something doesn’t go as planned for a fellow team member or one of her centers, Dr. Washington takes the results personally. I admire her extreme ownership of her duties and the duties of those around her. Dr. Washington is true team player, and her approach inspires me. She is deserving of the Leadership Spotlight for numerous reasons, but most of all her passion for serving others. Thank you, Felecia, for all you do to make our Team better,” said Leslie Campbell, Executive Vice President & Chief Operating Officer. “Felecia Washington is an invaluable member of our team. She holds high standards of expectations for performance and is a fierce advocate for nurses and caregivers. She is a gifted educator. Many caregivers on our team have personal stories of how Felecia’s support singularly influenced decisions to successfully expand their nursing degrees. She is creative, motivating and smart, and embodies our service standards to a degree few have achieved. We are sincerely proud of and grateful for Dr. Felecia Washington,” said Gail Geisenhoff, Vice President, Clinical Services. Congratulations, Dr. Washington. We are proud of your Mountain Top service and we look forward to your continued success. Thank you for being a shining example of what it means to be a Diversicare caregiver. Diversicare provides post-acute care services to skilled nursing center patients and residents in ten states, primarily in the Southeast, Midwest and Southwest United States. As of the date of this release, Diversicare operated 72 skilled nursing and senior housing centers containing 8,214 licensed nursing beds. For additional information about the Company, visit Diversicare’s web site: www.DVCR.com.